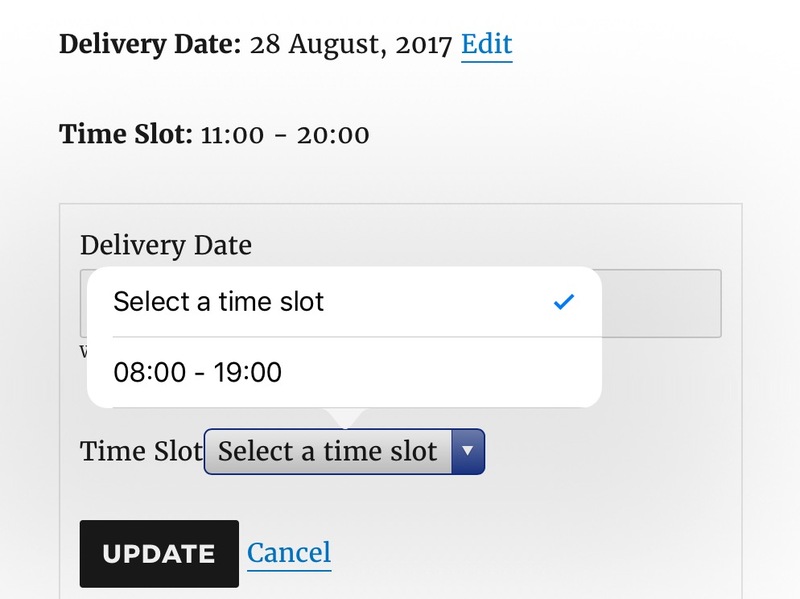 We so far have discussed about how the process of selecting specified order delivery date and time during the checkout phase is made easy using Order Delivery Date Pro for WooCommerce plugin. But what if you require to change these selected delivery details of WooCommerce orders due to any reason? Is there a provision to fulfill this requirement using our plugin? The answer is YES and today we shall focus on how admin and customers both can edit the specified order delivery details whenever required. 1. How Admin can change? 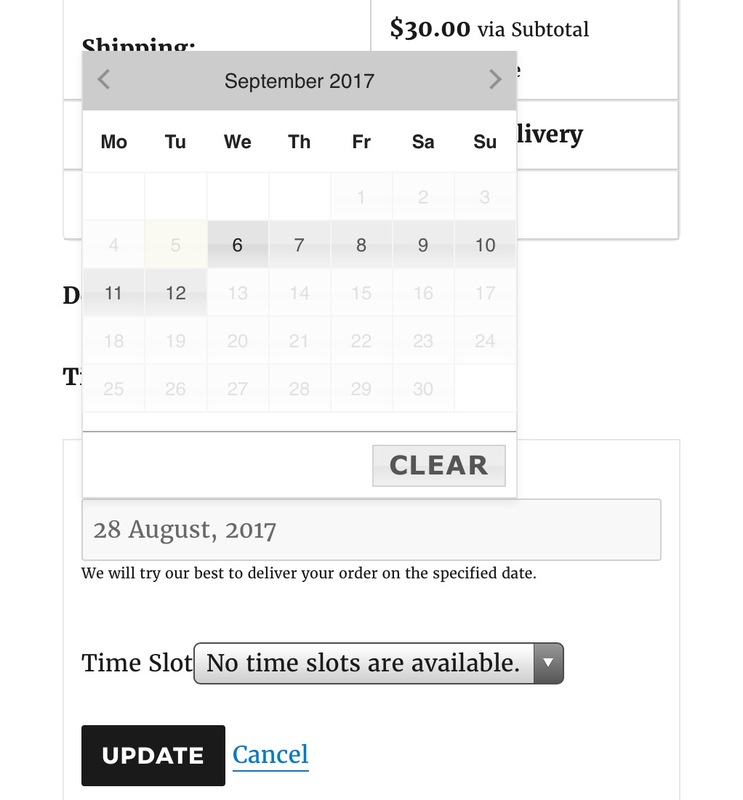 In the Edit Order Delivery Date and/or Time section, you can change the delivery date by selecting the desired date and accordingly set the timeslot. Click on the Update button to change the delivery date or click on the Update & Notify Customer button to change the delivery date and also let the customer know about this change via email. Delivery Charges field allows you to add any charges for delivery after selecting the delivery date if applicable. This is set manually but by default it is set to 0. 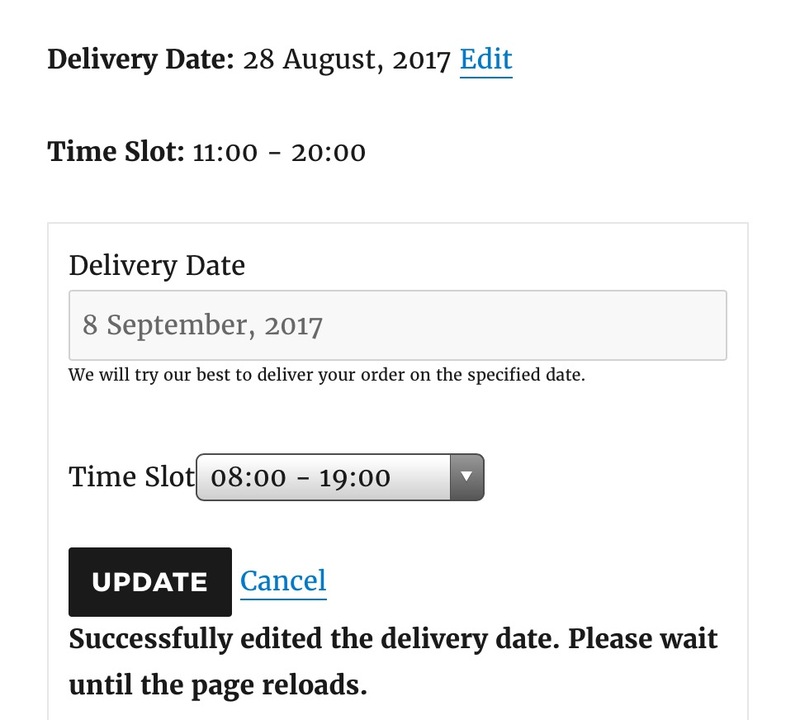 This shows the delivery date of the 1st order which changed from 16th September 2017 to 20th September 2018 and time slot set to 08:00 – 19:00. Similarly when you go to the checkout page, the delivery details will be changed to the new one. 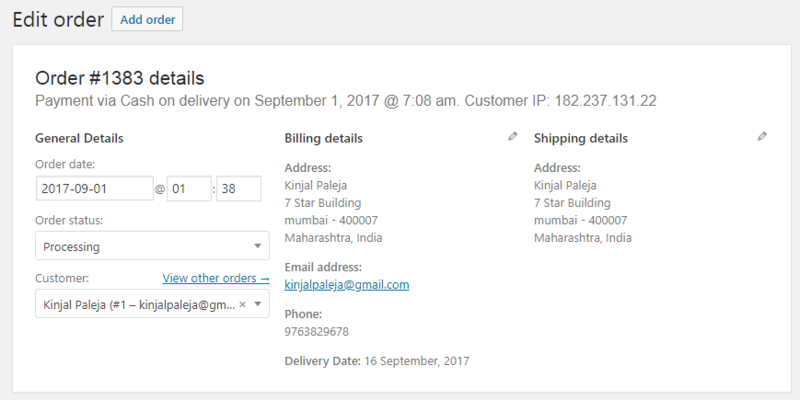 You need to add delivery charges for the order in the Delivery Charges field manually. Say for instance you change the delivery date to a later date which happens to be a special day like public holidays, weekends etc, where an additional charge is applicable. 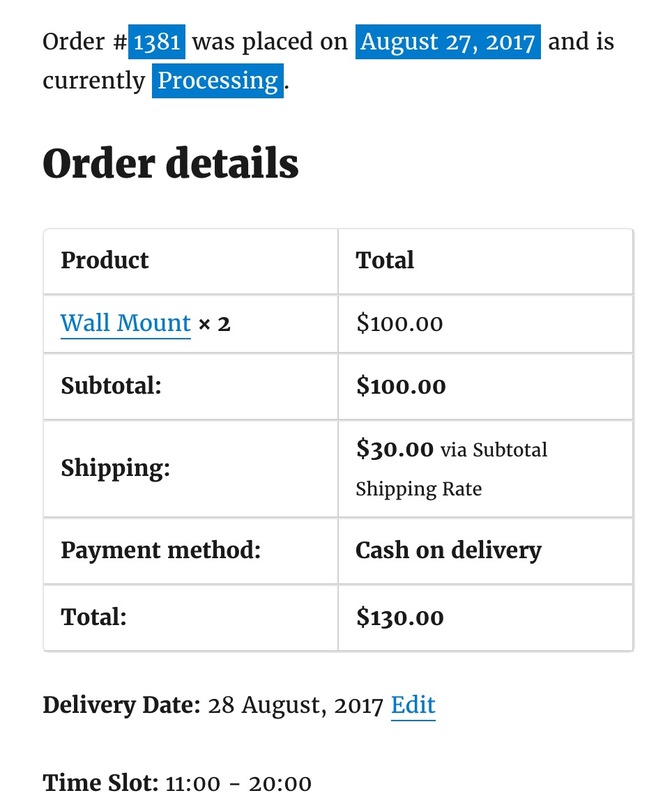 Then this additional charge has to be added manually in the Delivery Charges field which will reflect in the Order Total of that order. 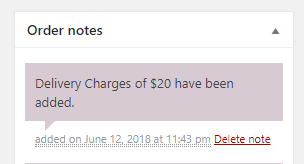 When additional delivery charge is added, the action is recorded under Order Notes section, so that the customer can check the reason for change in the order total. Note – If you do not manually add the delivery charges which are applicable for the order in Delivery Charges field, even if it is added in the backend for that particular date, the charge will not be considered automatically for this order. Therefore it is mandatory to manually add any delivery charges that apply to the order, in Delivery Charges field under Edit Order Delivery Date and/or Time section. 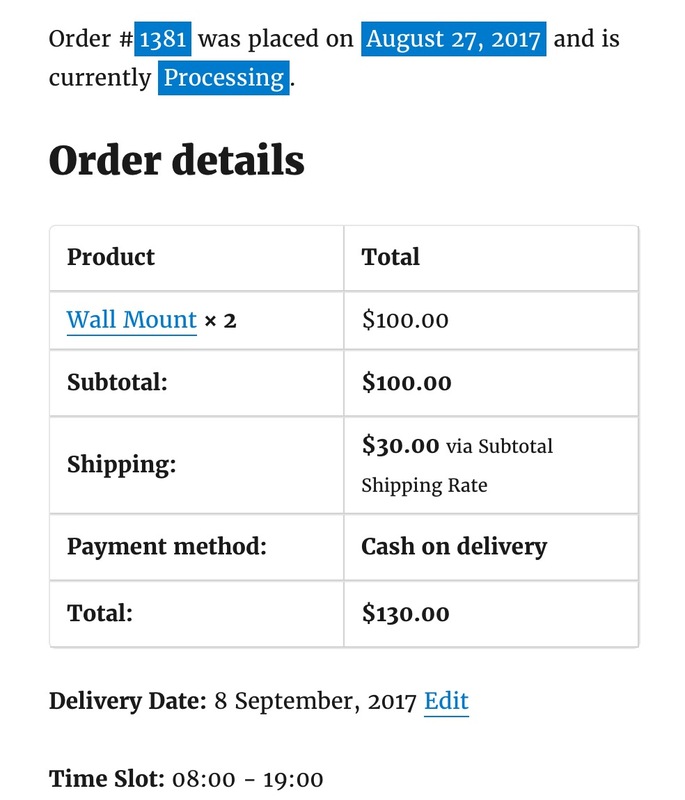 Also, when any order has delivery charges already added, those will be auto populated in the Delivery Charges field on Edit Order Page under Edit Order Delivery Date and/or Time section. You can then make necessary changes to this charge like adding or reducing it as per the requirements. 2. How Customer can change? Once you enable the settings, go to My Accounts Page -> Orders-> View page where you can edit Delivery Date and Time. Because you have enabled the settings in the plugin, Delivery Date and Time field will be added on the My Accounts page -> Orders -> View details page. 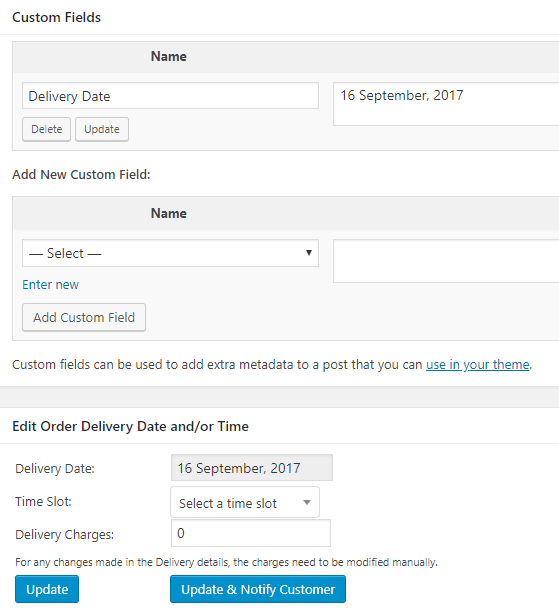 Here you need to click on the Edit option next to Delivery Date field as shown below to change the specified delivery date. Similarly you can change the time slot of the order as well. Once the delivery date and time slots are changed, a confirmation message for the change will appear as successful. So as you can see, Order Delivery Date Pro for WooCommerce plugin provides ample of options for making your complete order delivery journey easy and fruitful along with customer satisfaction. Which other plugin serves as the best solution in the market to curb all your order delivery hassles?